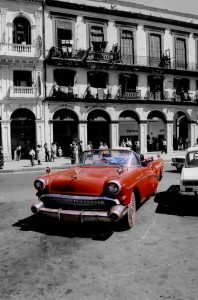 Cuba has always been a very popular travel destination and is becoming more so. For American Citizens, it is not the easiest place to travel to due to legislation passed by the US government. It is hard for Americans to get a flight into Cuba and you have to consult a travel agent to find out your options. Many travellers take a plane from the Bahamas or Jamaica to Havana, or from the west costs, Mexican airlines can connect to Cuba. However, anyone expecting any animosity between the Cubans and American tourists will be very pleasantly surprised. 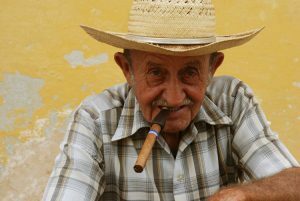 Any problems between the US and Cuba are purely political – the Cubans love American tourists and the American tourists in turn are very respectful. A big advantage of travelling to Cuba is that both Jamaica and Antigua are easily accessed giving more of a diverse holiday experience with plenty of culture and colour. Talking of culture and colour, Cuba is famous for its music and dancing and is a very large part of its culture. Whether its rumba or salsa, the Cubans have a passion for music and dancing that is infectious. You could visit one of the country’s famous nightclubs or, more interestingly watch people rumba or salsa at a party, but wherever you go in Cuba there is no escaping the Latin vibe. Something to go with the salsa?? How about a Cuban cocktail. Many cocktails originate from Cuba – especially the rum based ones!! – and many bars will have cocktail lists that will amaze and tantalise, menus of over 100 cocktails in most instances!!! Probably the most famous Cuban cocktails are the Mojito, Daiquiri and the Cuba Libre – they are signature drinks of Cuba. Apart from the fantastic nightlife, there are many tourist attractions in Cuba. The beautiful Caribbean beaches offer fantastic diving, snorkelling and surfing experiences, although the urban beach locations are not worth visiting as a tourist. No trip to Cuba is complete without spending a few days (and nights!!!!) in Havana. This is the most colourful town in the Caribbean and is famed for its beautiful colourful buildings and colonial churches and Spanish castles. Don’t let Havana’s wild and crazy reputation put you off a visit – it is by far one of the safest cities you can visit. The only danger you may experience here is the blue jellyfish that inhabit some of Cuba’s popular beaches. 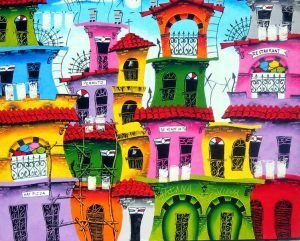 Cuba means colour! Cuba means culture! A must-see on many a traveller’s list! What’s the best accommodation type for a family vacation? Visit to Brighton: our guide to uncover the city’s secrets!